Looking back at my summer posts, I noticed a lot of limes on the side or off in the corner – standing by to restore the balance to anything too heavy, too rich, or just too fried. With Labor Day coming up, it’s was only right to bring them front and center in a key lime pie. I thought it would be a departure from my Latin American desserts when I came across a few references to the Cuban pastel de limón. Made with juice from limones criollos – also known as key limes – and condensed milk, the custard is topped with meringue, and poured into a cookie crust made from galleticas Maria. Could the key lime pie be Cuban? According to Maria Josefa Lluria de O’Higgins, a version of the pie was brought to the Florida Keys in the late 1860’s with Cuban settlers during our war for independence. Other alleged sources include self-made Florida millionaires, their cooks and local fisherman. While I can’t pretend to be impartial, I will say this – creole limes, condensed milk, meringue – it certainly sound like us. The origin of the galleticas Maria used for the crust is less ambiguous but far more grand. I always thought Maria was the little girl in pig tails on the bright gold package of vanilla biscuits my grandmother would give us for an afternoon merienda. Not so. They were actually created by English confectioners Peek Freans in 1874 to commemorate the wedding of Grand Duchess Maria Alexandrovna of Russia and H.R.H Alfred Ernest Albert Saxe-Coburn-Gotha, the Duke of Edinburgh, Queen Victoria’s second son, in the Winter Palace of St. Petersburg. Even now, her name, Maria or Marie (depending on where they’re made) is at the center of every one, surrounded by an intricate border, a period reference to Russian architectural design. It’s possible that they could have made their way into the Cuban version of the Florida pie around this time though it’s hard to tell. Popular throughout Europe and Latin America dipped in milk, coffee or tea, they were partly credited with Spain’s post-civil war recovery when a wheat surplus led to a Maria mass production. More complicated than I’d imagined for a five ingredient pie, it made me wistful for a simpler time. My grandparents had a key lime tree in their backyard and my grandmother would have us gather them when they rained down, hiding in the grass and tripping us up. Small, hard, and thorny, they weren’t pretty like lemons or juicy green like limes so I didn’t associate them with the creamy yellow pie I loved. A hurricane in the 1926 wiped out most commercial key lime harvests in the U.S. making these scattered back yard trees that much more precious. Though I keep a bottle of key lime juice in the refrigerator, I always buy a bag of the fresh ones, mostly imported from Mexico, when they make a rare New York appearance. As happy as I am to find them, I kick myself a little for not appreciating them more when they were literally falling from the sky. Inspired by A Taste of Old Cuba by Maria Josefa Lluria de O’Higgins. Floridians are very protective of their pie and there are disagreements about whether it should be a crumb or pastry crust, baked or not. One thing everyone agrees on is that the pie should be yellow. Key limes turn yellow as they ripen so a toxic green custard is the sign of a bad dye job. They can be hard to find and regular limes can be substituted, but I suggest using bottled key lime juice rather than fresh regular limes in this case. Galletas Maria can be found in most Latin American and some large chain grocery stores and graham crackers can also be substituted. Preheat the oven to 350 degrees. Grease a 9-10″ pie pan with non-stick cooking spray. In a large mixing bowl, combine the cracker crumbs and melted butter until the mixture holds together. Fill the prepared pan with the crumb mixture and press into the bottom and sides of the pan to form the crust. If necessary, use a measuring cup to level the bottom and sides. Bake 10-12 minutes until lightly browned. Remove from oven and set aside to cool completely. Freeze until ready to use. Increase oven temperature to 375 degrees. In a stand mixer fitted with the paddle attachment, beat the egg yolks on medium until pale and fluffy. Reduce the mixer speed and slowly add the condensed milk then the Key lime juice until well incorporated. Pour the mixture into the pie crust (see note). In a stand mixer fitted with the whisk attachment, beat egg whites on low speed until foamy, about a minute. Add a pinch of salt and cream of tartar and increase speed to medium until they hold soft peaks. 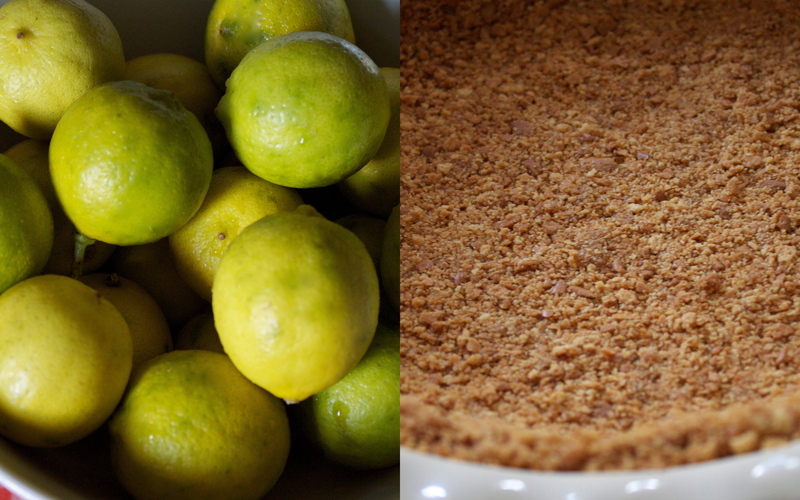 Gradually add the sugar and remaining lime zest and beat on high speed until it forms stiff peaks. 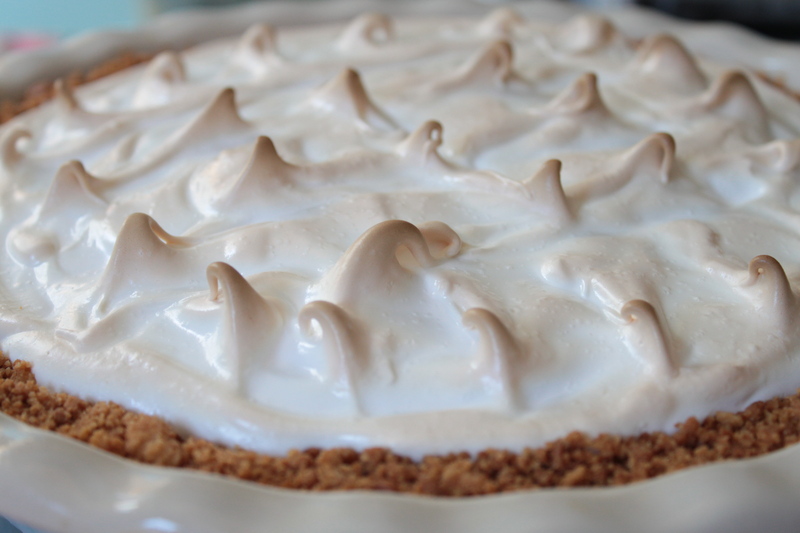 Cover the pie with the meringue and bake until lightly browned, about 12-15 minutes. Allow to cool and completely and chill until ready to serve. 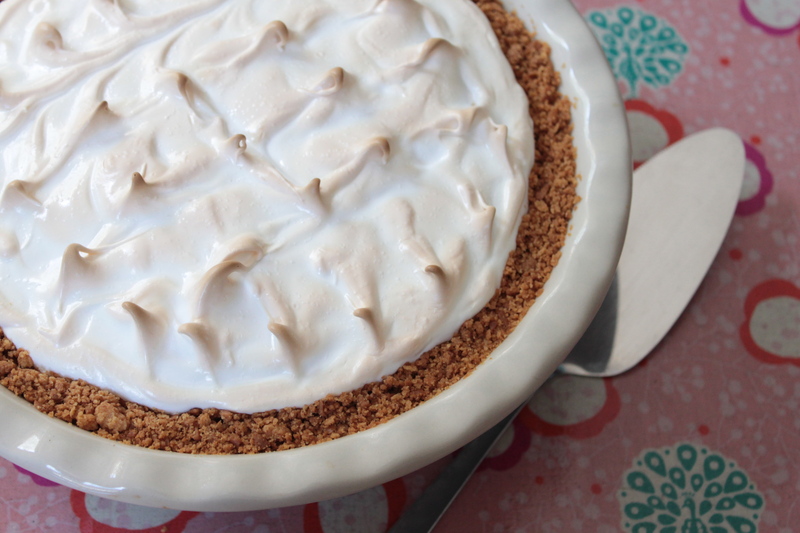 Note: Instead of meringue, the pie can also be topped with freshly whipped cream. At this point, bake the pie as directed then top with whipped cream before serving. This is my favorite dessert! You are making me forget my diet! I’ve never had key lime pie. I’m intrigued. I Love this pie! I will certainly use this recipe. 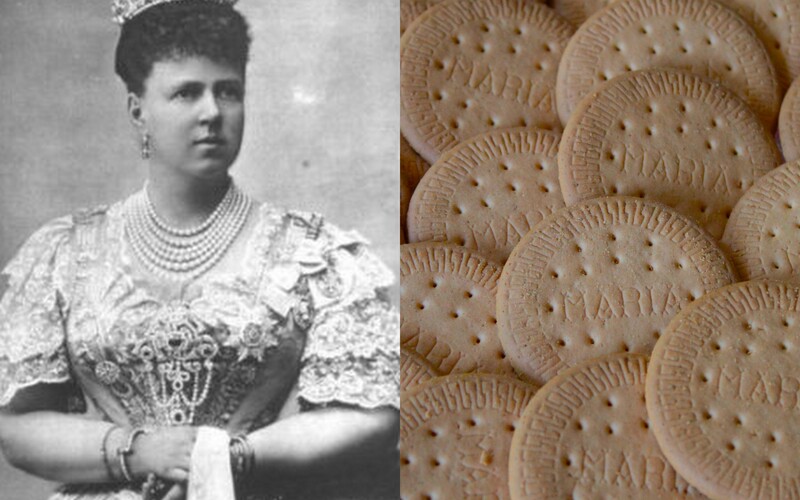 However I must say that I am even more impressed with the Royal/Imperial Russian provenance of the Maria crackers, what an added delight! These crackers are ever present in teas and coffee hours throughout the Latin American countries, but I doubt many people know this wonderful story. This sure does sound Latino to me! I hope you can save me some for when I come. Like Mirta I will break my diet for this pie. Nice Photos!! and a great looking recipe! Thanks for sharing. I just heard of these crackers on a cooking show on TV and wondered what ingredients they have in them. My family can’t have wheat or white sugar and I was wondering if they contain those ingredients. Do you know if they do? I’m afraid they have both wheat flour and white sugar. I usually check 101cookbooks when I’m looking for alternatives. Good luck! Thank you for this recipe. I haven’t made it yet but have used the Maria crackers for a crust to make my pumpkin pie. It’s delicious and so affordable. We get one of those packs for 40 cents. It definitely sounds Cuban to me. Cubans like to use condensed milk whenever possible and Galletas Maria have always been a favorite snack item learned from the Spaniards. 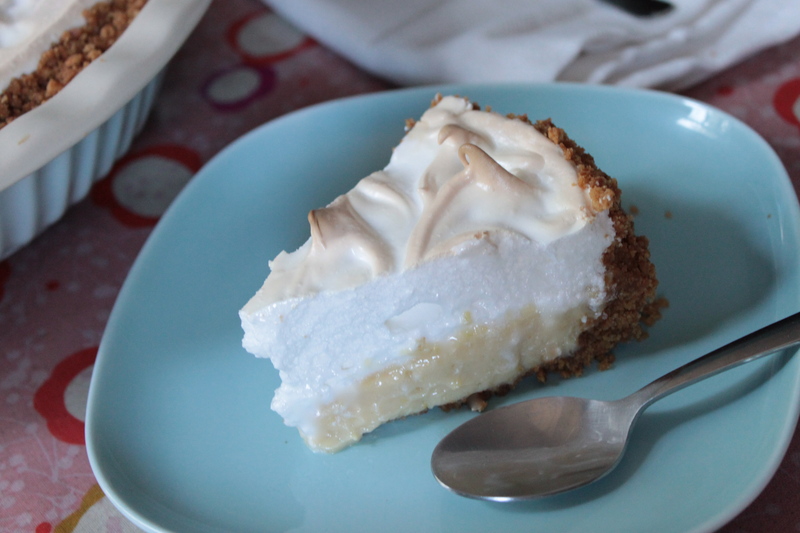 I’ve never thought about making key lime pie, b/c I would drive to Key West whenever I was in the mood for it. After seeing this delicious recipe, I will try making it and let everyone in on it. like yours would cost a pretty penny? I’m not very web smart so I’m not 100% certain.